Enter the unique pick number from your label. With the implementation of the FreshQC™ traceback system, a grower can take quality control to a whole new level. That means every produce item having a sticker with the FreshQC “seal of approval” and a unique identifying number can be linked to very specific information about that product, including field, picker, time of harvest, block, as well as variety, planting date and more. If there should ever be a food safety issue, fast and accurate traceability information is readily available. An important pillar of the system is having full accountability. It gives the ability to relate feedback from consumers and retailers to a particular grower, field and picker with pinpoint accuracy. That gives everyone an added incentive and ability to stay focused on quality. When positive feedback is received, the farm or grower is able to recognize and reward the individuals responsible. At the same time, if the opposite is true, it is also possible to identify and address the problem in the field and stop the problem before it compounds into a larger issue. That’s how you improve the quality of your produce. As consumers become more aware of food safety, retailers see the need for traceability. The FreshQC system provides that. The FreshQC seal also gives consumers confidence and encourages their feedback. With the FreshQC system everyone is able to participate in the process. The FreshQC system is available with a payroll module. The integration of data collection, payroll and traceability into one system simplifies operations. And, since each item can be accounted for only once, payroll inaccuracies are minimized. As quality and efficiency improve, so will profits. FreshQC was developed by VirtualOne, based in Plant City Florida. VirtualOne provides technology to solve food safety and business challenges for the produce industry. It offers data collection, payroll, harvest and warehouse management, traceability, PTI compliance and a full suite of quality control solutions. 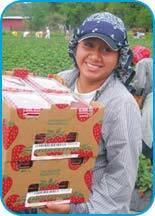 VirtualOne provides technology to solve safety and business challenges for the produce industry.